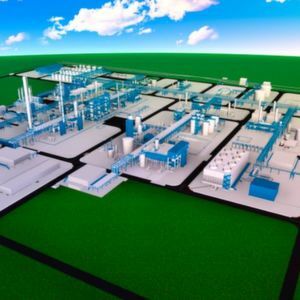 With an investment of 1.39 billion dollars, the new complex is expected to handle an annual production capacity of 200,000 tonnes of polyether polyol. Once completed, the project will make MOL the only integrated producer of polyether polyols in Central and Eastern Europe. Budapest/Hungary – Thyssenkrupp’s Industrial Solutions business area has recently received a major order to build a new integrated chemical complex in Hungary. The customer for the project is the MOL Group, a leading international oil and gas company from Hungary. The contracts for the engineering, procurement and construction (EPC) of the new plant complex were signed on September 12, 2018 in Budapest. MOL is investing a total of around 1.39 billion dollars in the new plant complex. The project is part of the MOL 2030 growth strategy under which the company is developing new value chains in the petrochemical sector. The complex with an annual production capacity of 200,000 tonnes of polyether polyol is scheduled to go into operation in 2021. It will make MOL the only integrated producer of polyether polyols – important intermediates for products in the automotive, construction, packaging and furniture industries – in Central and Eastern Europe.